MS usually affects one side of the body, while ALS impacts the whole body. MS damage to the sheath that covers nerves is a primary symptom, but with ALS it is a secondary symptom. MS patients have inflammation around damaged cells, ALS patients do not. ALS symptoms are rapidly progressive and fatal, MS symptoms can be slow, controlled, and a full life expectancy is possible. It is important to understand the differences between multiple sclerosis versus ALS so appropriate medical care can be attained. The reason people initially confuse the two diseases is, both attack and destroy muscle and nerve functions. This means that they do share some of the same symptoms. In the early stages of MS and ALS, muscle weakness and stiffness, loss of coordination, loss of muscle control, and difficulty moving limbs can occur. Once a person has been through the initial stage of disease, the picture changes. As indicated earlier, MS patients begin to experience more mental impairment and ALS patients will start to develop more physical difficulties. Unfortunately, due to the number of cases being reported, these diseases are now household names. Medical statistics suggest that an estimated 12,000-15,000 Americans suffer from ALS, or Lou Gehrig’s disease. Although we can’t say for certain why, ALS is more common in men than it is in women, and tends to be age related. Most people with ALS are between the age of 55 and 75. They live from two to five years after developing symptoms. In terms of MS numbers, data shows there are approximately 400,000 cases in the United States. With multiple sclerosis, women account for the majority of cases. What is frightening is that an additional 200 cases are being diagnosed each week in the U.S. 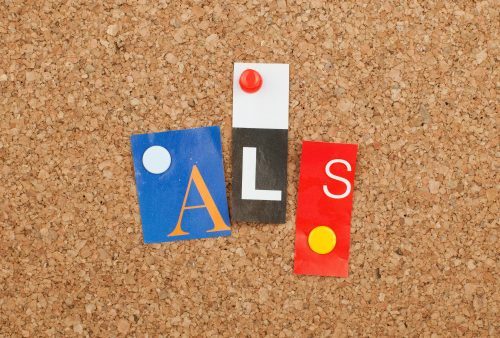 The signs and symptoms of MS vs. ALS can be confusing. For this reason, we break them into the stages. Early stages mean the symptoms are similar and, of course, in the later stages, the signs and symptoms change. With MS, symptoms can be more difficult to define, because they can come and go, and in some situations they even disappear for months at a time. MS can also impact taste, small, touch, and sight. It has been known to affect bladder control, emotional health, and cause sensitivity to temperature in some people. While severe mental changes, such as mood swings and depression can be triggered by a flare-up in those who suffer from MS, research shows that symptoms in people with ALS remain physical, and mental function stays at the same level even when the disease has destroyed most of the person’s physical abilities. One of the other factors about multiple sclerosis versus ALS is that we know that MS is an autoimmune disease, but the cause of ALS is largely unknown. Some possible causes have been discussed, including gene mutations, chemical imbalance, and family history. It is believed that about 10 percent of ALS cases are passed down through genes, but MS doesn’t have a strong hereditary link. Still, if your mother or father or sibling has multiple sclerosis, you are at a higher risk of developing the condition. While diagnosis of ALS tends to be in older individuals, people can be diagnosed with MS as young as 20 years old. In fact, MS is typically discovered between the ages of 20 and 40. Researchers around the world continue to investigate the possible causes of ALS including whether or not the immune system plays a role in attacking the body’s cells, potentially killing nerve cells. They are further examining chemical imbalance and trying to determine if proteins in people with ALS are being processed correctly by nerve cells. Environmental factors are also being put under the microscope. One study has stated that military personnel in the Gulf region during the 1991 war were more likely to develop Lou Gehrig’s disease than military personnel stationed anywhere else. The question is, could mechanical or electrical trauma, exposure to high levels of exercise, exposure to high levels of agricultural chemicals or heavy metals play a role? With MS, we know it is immune-related, but we don’t know enough to cure it. Experts believe there is a genetic risk, but there are also environmental triggers at play. Some suggest that a lack of vitamin D may contribute to the cause while others have been looking into how infections, such as measles, herpes virus-6, and Epstein-Barr might be associated with MS. These types of infections have been known to cause nerve inflammation. It’s important to note that when a person has been diagnosed with MS or ALS, there can be associated complications beyond the initial disease itself. For example, complications with ALS can include choking, malnutrition, pneumonia, and bed sores. With MS, complications range from urinary tract infections due to disruption in the bladder nerves to pneumonia, depression, osteoporosis, and pressure sores. Getting a proper diagnosis followed by treatment can help prevent these complications from cropping up. To figure out whether MS or ALS is at play, doctors can use an MRI to detect demyelination. Demyelination is the damage that surrounds nerve fibers in the brain and spinal cord. ALS demyelination begins much later – after nerves begin to die. Essentially, in MS, loss of myelin coating of the nerve takes place first, followed by a loss of nerve function. With ALS, nerves are damaged for an unknown reason and then the damaged nerves lose their coating. The MRI is the best known way to tell the difference between the two diseases. Beyond the MRI, signs and symptoms need to be closely observed so that doctors can properly diagnose patients. With MS, there are different levels of the disease. There is RRMS, or relapsing–remitting multiple sclerosis, which is a common form of the illness. It involves relapses that are followed by almost full recovery. Secondary progressive multiple sclerosis, or SPMS, is the second stage of RRMS, where the disease begins to progress after relapses. Primary progressive multiple sclerosis (PPMS) is a stage where neurological function starts to get worse and where remissions are minor. There is also progressive-relapsing multiple sclerosis (PRMS). There is no remission with this stage and the progression of the disease is steady. With ALS, all patients eventually become unable to stand, walk, or move without assistance. Most develop difficulty chewing and swallowing. It usually begins to impact the hands and arms, as well as the feet and legs, but then spreads to other parts of the body. Currently, treatment for multiple sclerosis vs. ALS is different. The Federal Drug Administration has approved effective treatment for people with a relapsing form of MS. Research is still being conducted on possible treatments for progressive forms of the disease. Meanwhile, lifestyle treatments, including stress reduction techniques, have been known to ease symptoms of MS. If a person suffers from multiple sclerosis, they are encouraged to stay as active as possible and to remain social, since both physical and social activity seem to bode well for those who suffer from the disease. When it comes to ALS treatment, the focus is more on the complications, although the Mayo Clinic reports that the drug, riluzole (Rilutek) is an FDA-approved drug that seems to slow the progression of the disease. There are other drugs an ALS patient can take to help ease fatigue and pain associated with their condition. When breathing becomes difficult for ALS patients, devices to assist them can be resorted to. Whether a person is diagnosed with MS or ALS, they need both medical support and moral support. Having family and friends who understand their disease, the associated implications and complications, is very important. In all cases, a patient will need all the emotional reassurance they can get. Although there is no cure for either of these diseases, research, particularly in relation to MS, has been intense in the last few years, providing sufferers and their families with new hope that one day soon the mystery will be solved. As for ALS, there are more researchers now than ever before working around the clock in search of a cure.